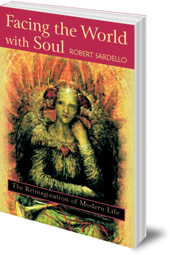 In this new edition of a classic work, Robert Sardello offers a new approach to daily life through concentration, meditation, imagination and contemplation. He builds up a psychology of the world -- of architecture, money, the city, medicine, food and technology -- and argues that in order to heal ourselves, we need to reimagine the world. Dr Robert Sardello has been a practicising psychotherapist for over twenty years, working in existential, Jungian and archetypal psychologies. He is the author of Love and the World: A Guide to Conscious Practice and Freeing the Soul from Fear.